Sanjay Dutt biopic Sanju released today, and the critics cannot stop praising Ranbir Kapoor's performance and Rajkumar Hirani's filmmaking. The audience and the critics took to Twitter to talk about the film. .
Ranbir Kapoor-starrer Sanju has become the talk of the town, especially after its release today. The film is a biopic on the life of Sanjay Dutt and is directed by Rajkumar Hirani. Critics have praised the actors as well as the director. They have called it a 'touching' and a 'blockbuster' film. The critics also reveal that the film does not hide any mistakes made by Sanjay Dutt in his life and is a very honest biopic. 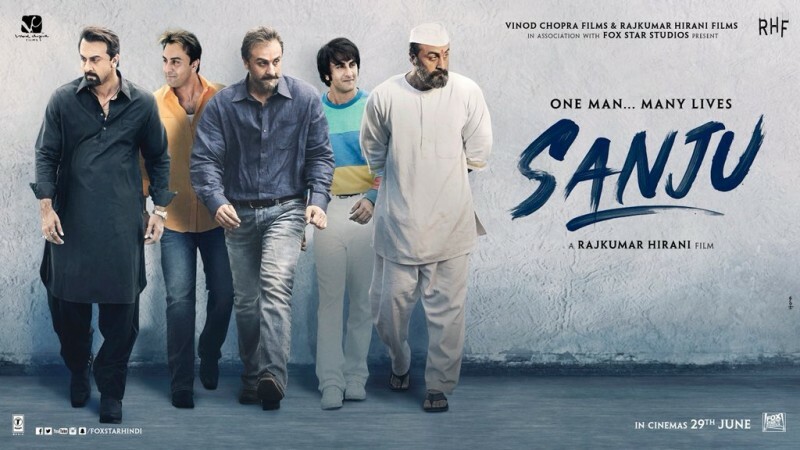 Film trade analyst Sumit Kadel posted on Twitter, "Overall #Sanju is a gladsome story of a Father-Son relationship, Story of friendship, story of resilience & courage. You will love your father even more after watching the film & will start adoring your best friends more than ever. Sanju will be a BLOCKBUSTER. Ranbir Kapoor acting in #Sanju cant be justified in words. It is like you are watching an actor performing in 5-6 different films at the same time. One of the best performance I have seen in my life. Very few actors in the world can achieve what Ranbir Kapoor has done in Sanju." Naved Jafri posted on Twitter: "All the best to @duttsanjay @RajkumarHirani #RanbirKapoor @deespeak @AnushkaSharma and the entire team of #Sanju ! Some of my family members saw the premiere last night and can't stop raving about it! We all love SANJU- the man with a golden heart ! God bless"
Filmmaker Omung Kumar tweeted: "Movies have failed earlier but Ranbir Kapoor never failed... but this time the movie #sanju has lived up to everyone's expectations and Ranbir Kapoor has excelled as an actor and portrayed Sanjay Dutt's life with sincerity. Real rockstar. Take a bow,"
Ranbir Kapoor... One actor... Multiple lives... Numerous awards... Ranbir’s act in #Sanju will win him accolades, admiration and awards... Deserves brownie points for getting into the skin of the character and living the part earnestly... A knockout, 10 on 10 performance! Making a biopic isn’t child’s play, but Hirani and co-writer Abhijat Joshi encompass pertinent episodes from Dutt’s life to weave a spellbinding screenplay... #Sanju is an emotional journey... Goes beyond providing mere entertainment and emerges triumphant. Ensemble cast shine in their respective parts... Paresh Rawal [terrific], Vicky Kaushal [outstanding], Anushka Sharma [good], Jim Sarbh [effective], Dia Mirza [admirable], Manisha Koirala [wonderful] stand out... #Sanju is plot-driven, songs fit beautifully in the narrative. Sanju also stars Dia Mirza, Manisha Koirala, Sonam Kapoor, Anushka Sharma, Paresh Rawal and others.